This year we are proud to have been selected to be part of Small Business 100! Each year businesses are selected throughout the UK, so it’s a great honour to be a part of it. 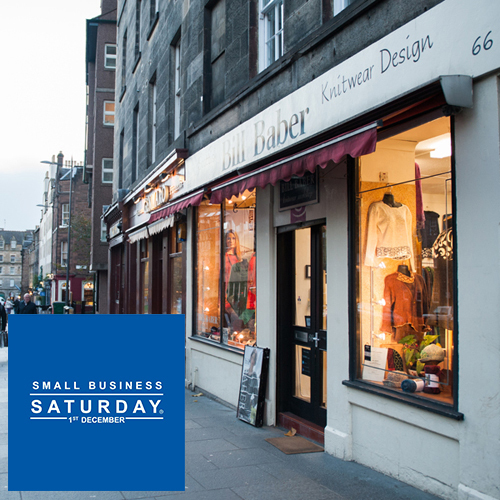 Small Business Saturday UK is a grassroots, non-commercial campaign, which highlights small business success and encourages consumers to ‘shop local’ and support small businesses in their communities. The day itself takes place on the first Saturday in December each year, but the campaign aims to have a lasting impact on small businesses. On Small Business Saturday, customers across the UK go out and support all types of small businesses, online, in offices and in stores. Many small businesses take part in the day by hosting events and offering discounts. Small Business Saturday is celebrated on Saturday 1st of December this year and we encourage you to visit small businesses local to you, in fact why not come and join us? Ours is a beautiful shop full of one off designs, so if you haven’t been in for a while this is a great excuse. Is it too early to mention…Christmas shipping dates?